Activity Alliance shares the experiences of disabled people involved in sport and exercise at all levels. Team England adaptive surfer, Suzanne Edward tells us about her love for surfing since a young age, and why she loves being active. Hi, my name is Suzanne, I’m 31 from London and I’d describe myself as a very sporty person! I regularly play wheelchair tennis and have been competing in international events for the last couple of years. 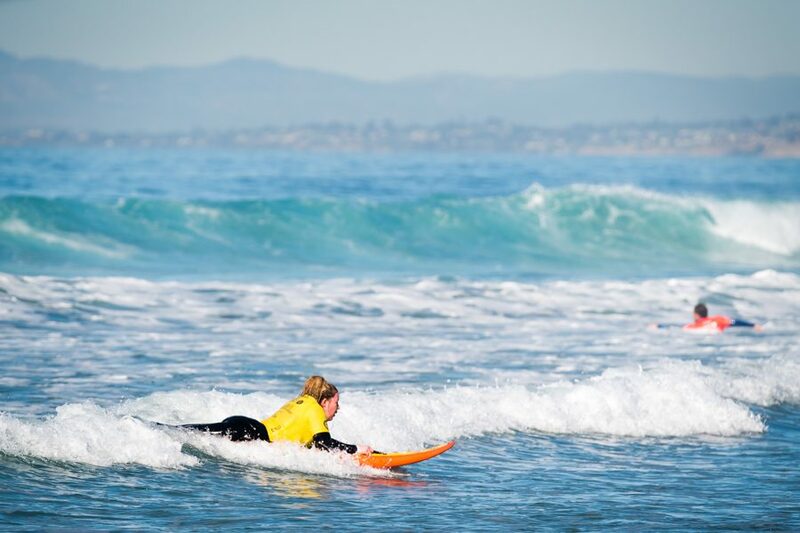 I am an adaptive surfer – I have loved surfing since I was a child. 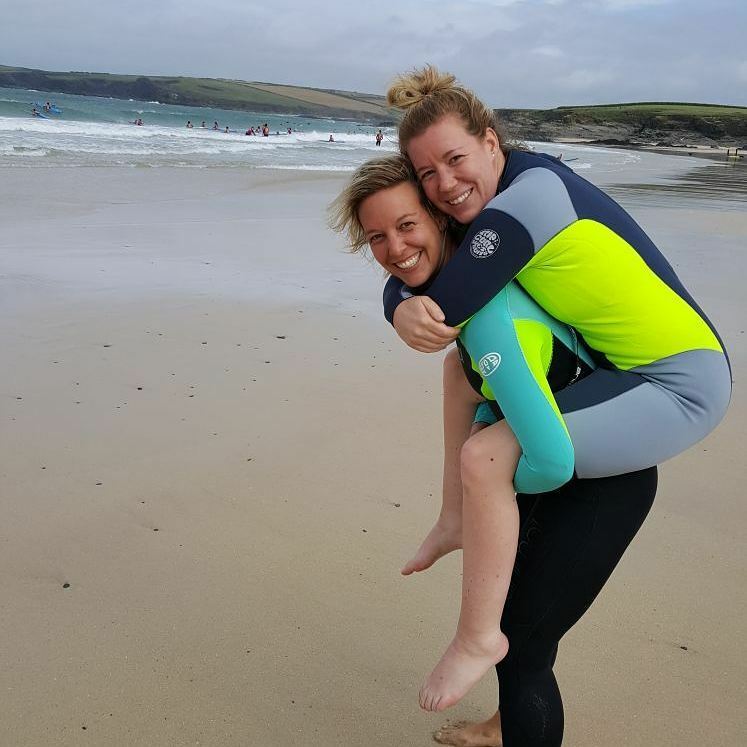 After an accident in 2011 I was left with a spinal cord injury, so after my accident I wasn’t sure whether I would enjoy adaptive surfing, but I am so glad that I gave it a go! I also go to the gym regularly and have recently taken up handcycling. 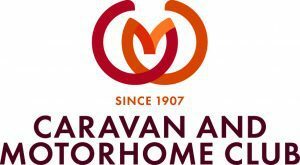 I took part in a para-triathlon last summer and really enjoyed it so I am keen to train and take part in more triathlons this year. I am lucky to have an amazing tennis coach that I have had since day one, and he has been incredible in my development. I also love to play tennis with my friends and family – it is such an inclusive sport where non-disabled and wheelchair players can all play together. 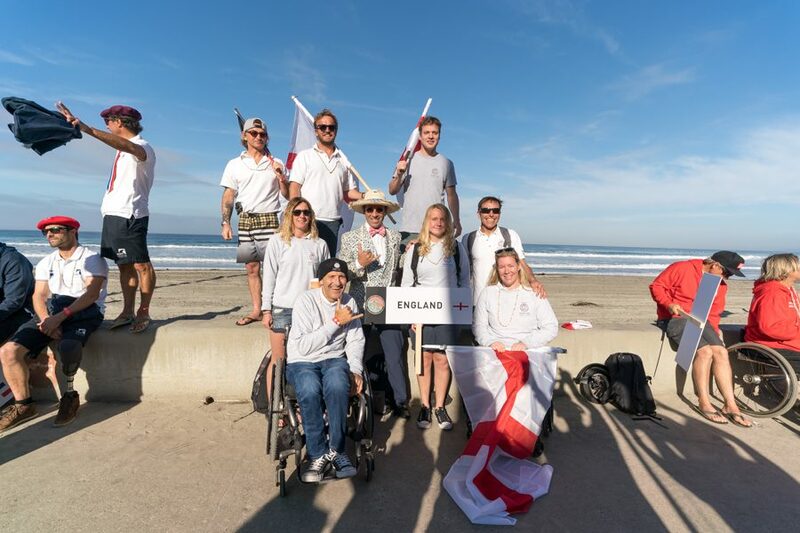 Also, being part of Team England for adaptive surfing is amazing – the camaraderie is awesome, and I love spending time with the team both in and out the water. I learnt to surf when I was quite young and it became a huge part of my life. After my accident I didn’t even want to contemplate going to the beach, let alone surfing again. Finally, after five years I decided to give it a go, and haven’t looked back since. 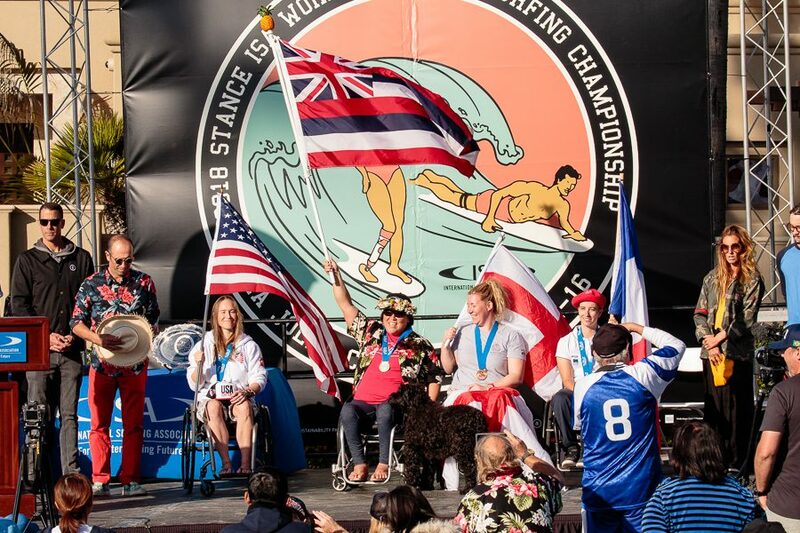 My main achievement so far is competing at the World Adaptive Surf Championships and bringing home a bronze medal for Team England – this was the most awesome feeling after spending so long thinking I’d never get back in the water again. What I love the most about being active is the feeling of being able to exercise and do things with my friend and family that aren’t cantered around my disability. I like doing things that are inclusive and break down the barriers between disabled and non-disabled people. When the main focus is on the sport or activity that I’m doing, I forget about my disability and can just become an athlete. Being active supports me in my daily life because of the number of huge benefits it brings. I can mainly feel the adverse effects when I’m not active, which is why I know it’s so good for me, both mentally and physically. As well as helping to keep me in shape, being active helps to clear my mind, stay focused and enjoy all of the amazing opportunities in the world. I love the feeling I get when I am taking part in sport – the adrenaline and feeling my muscles working hard is so incredible. When half of you is paralysed, you become so appreciative of the muscles that still work, so I love to really push myself. There’s an amazing quote from a pro-surfer – “I surf because I’m always a better person when I come in from a surf” – that’s how I feel every time I exercise – I’m always a better person afterwards. The support from my family and friends is everything to me. Their support, encouragement and love has been what has got me through the tough times after my accident to where I am now. I owe so much to them, and any successes I have mean so much more when I can share them with everyone I love. I have a few different things I would like to achieve in the coming year. 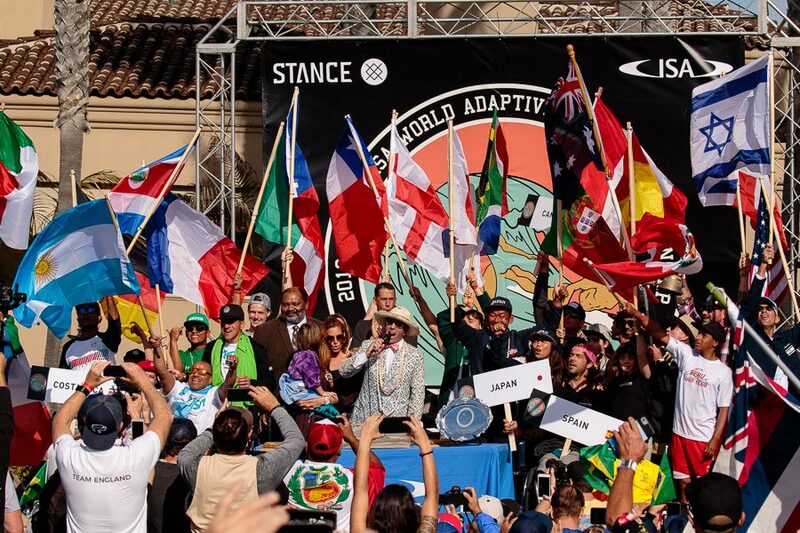 I would love to compete in some more wheelchair tennis tournaments and adaptive surf competitions this year. I am also really keen to take part in some para-triathlons and challenge myself with handcycling events. My advice to other disabled people wanting to take part in sport or activity but unsure is – just go for it. There is so much out there! It might be hard to find, and it might take a few attempts to find what you love, but the chances are, there will be something that you love, and it will be life changing. If you want to find out more about adaptive surfing, please email adaptiveteam@surfingengland.org and check out @SurfingEngland on social media! If you want to be more active but aren’t sure how to start, visit Activity Alliance dedicated webpages for advice.